Don't forget to sign in to benefit from the RIN member discount when you register for the event. Please note that the pricing is shown under the “Attendee Selections” tab after you click to register. 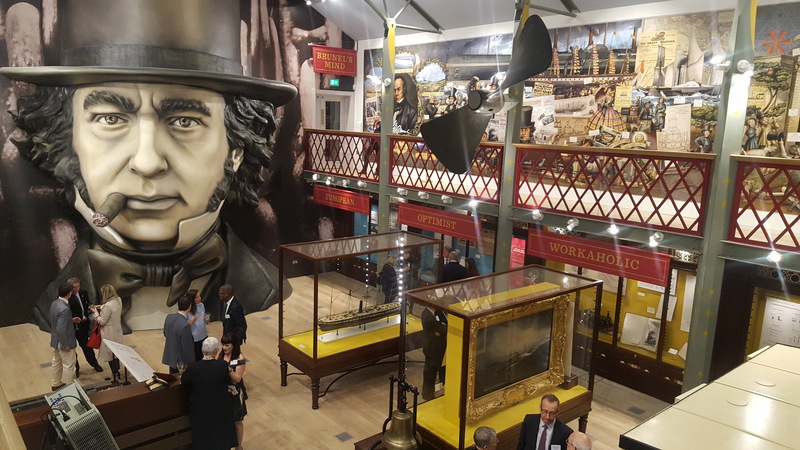 Join us on the Promenade Deck of the SS Great Britain for INC 2018 drinks reception! The Resilient PNT Forum is an ad-hoc group to enable informal discussion of all aspects of resilient positioning, navigation and timing. This RPNT Forum is sponsored by the Corporation of Trinity House and is organised by the General Lighthouse Authorities of the UK & Ireland and the Royal Institute of Navigation. 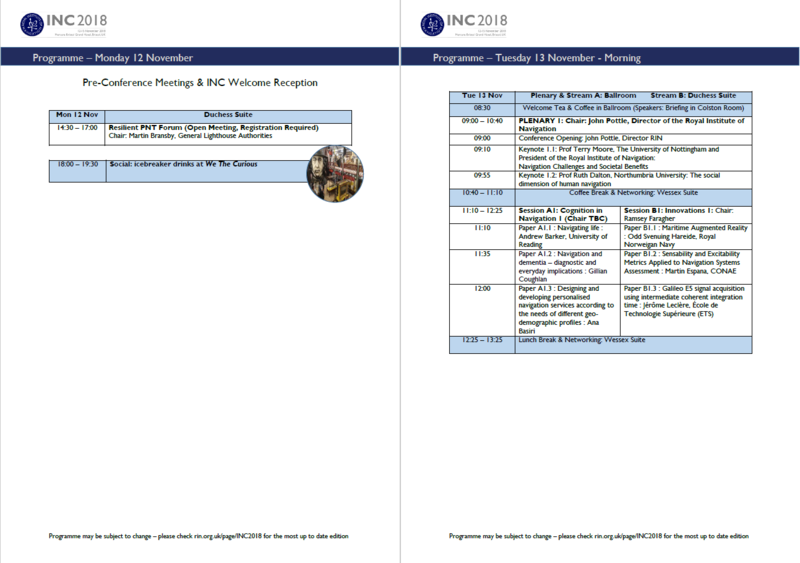 There will be a programme of short talks which will be added during October. The Event HQ Hotel is the Mercure Bristol Grand Hotel, Broad Street, Bristol BS1 2EL. The RIN have negotiated a special deal for INC attendees to stay. 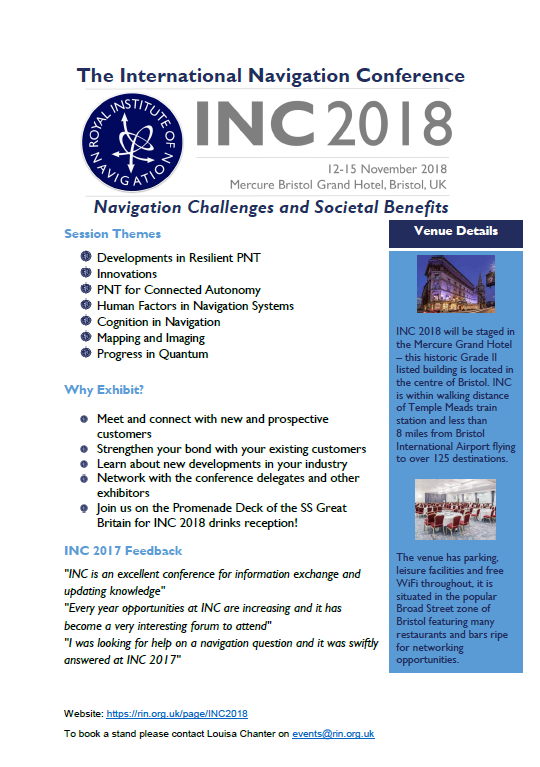 Just ring the hotel on 01179 811632 and say you are attending INC 2018 - availability is limited. The hotel also has 150 paid for car parking spaces available. The Call for Papers is still available to download here, but please note that abstract submission has now closed.